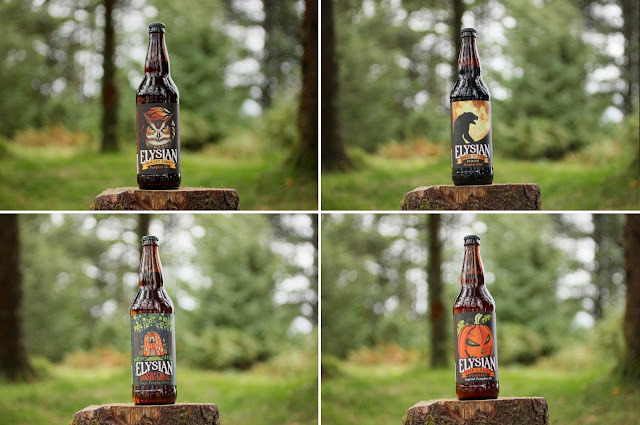 The Night Owl Pumpkin Ale is Elysian's most popular pumpkin beer. First brewed in 1998, Night Owl is brewed with over 7 lbs. of pumpkin per barrel and includes seven different malt varieties, green and roasted pumpkin seeds, as well as pumpkin in the mash, boil and fermenter. Spiced with nutmeg, clove, cinnamon, ginger and allspice, Elysian's Night Owl contains 5.9% ABV and goes down easy. Real easy. The Great Pumpkin was the world's first Imperial Pumpkin Ale (according to Elysian). It is brewed with Pale, Munich, Cara-Hell, Cara-Vienne, Cara-Munich and Crystal malts. Pumpkin is added to the mash, kettle and fermenter, and roasted pumpkin seeds can be found in the mash as well. The Great Pumpkin is spiced with cinnamon, nutmeg, cloves and allspice and contains 8% ABV. It is the strongest of Elysian's pumpkin beers, but by no means overwhelming. Elysian's limited edition Hansel & Gretel Ginger Pumpkin Pilsner is only available in their 'Pumpkin Patch' four-pack. It is brewed with organic pale, Weyermann Munich and Cara-Hell malts, with pumpkin added to the mash, kettle and fermenter. It is spiced with fresh ginger and contains 4.5% ABV. It is the lightest of their four pumpkin beers, but probably the most pungent in terms of flavor. Dark O' The Moon is Elysian's pumpkin stout, and is brewed with Great Western pale, Crisp Crystal, Munich, Cara-Vienne, Roasted Chocolate and Special B malts. There are roasted pumpkin seeds in the mash, while a plethora of pumpkin is added to the kettle and fermenter. Dark O' The Moon is bittered with Magnum hops and finished with Saaz and crushed cinnamon. It contains 6.5% ABV and is the both the smoothest and heartiest of their offerings. You can find Elysian Brewing's 'Pumpkin Patch' at Seattle's own Full Throttle Bottles.